Dr. Lawlor, former PT supervisor of Gessler clinic Physical therapy, has over 30 years of experience treating orthopedic injuries from the elite athlete and dancers to the average mover. Her evaluation and assessment includes a total body approach that will determine faulty movement patterns from muscular imbalance that can cause further trauma and lead to chronic pain and injury. 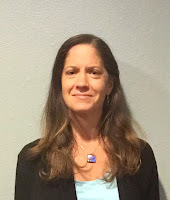 Once problems have been identified, she uses manual skills with a John Barnes craniosacral, myofascial release techniques, joint, or spinal mobilizatons to correct the problem areas. She also will teach home and in clinic corrective exercises via Pilate's techniques and give postural advice to improve the patient's current status. This approach empowers the individual with the knowledge of the problem area so as to address the pain and/or lack of function with the ultimate goal of peak performance. Dr. Lawlor graduated with a baccalaureate degree in science and physical therapy from Washington University in St. Louis and a doctorate physical therapy degree from the University of St. Augustine. Dr. Lawlor had the opportunity to open her own private practice in Winter Haven, Fl in 2010. She specializes in cranial sacral myofascial release techniques, spine management, fibromyalgia, sports medicine, dance medicine, headache and TMJ management, as well as osteoporosis. Dr. Lawlor's holistic approach of total body assessment will reduce pain and restore function and allow the individual a greater understanding of their current physical status. Dr. Lawlor's experience with sports injuries is diverse. The list of athletes she has treated includes the elite Cypress Gardens Skiers and Wake Boarders, the Cleveland Indians during Spring Training, Professional Golfers and has worked on golf tours, as well as high school athletes in such activities as track, basketball, soccer, football, boxing, gymnastics, cheer leading, and swimming. Her approach includes physically defining the movement patterns necessary for the activities involved in the sport. This is demonstrated by exploring specific exercises for modification during the healing phase of injury. This allows the patient to keep in condition as long as possible to prevent further injury from disuse. Dr. Lawlor's high school son has been competing in track, soccer and swimming. Dr. Lawlor's greatest personal expertise lies in dance. Her dance experience is extensive. She currently takes advanced Ballet and modern dance and rehabilitates dancers using the arts of Pilate's and yoga based exercises . She guides her patients in a therapeutic manner as indicated by their injury. She holds a 4th grade Cechetti teacher's certificate and her husband's family owns the Ballet Conservatory Dance Center. She has been a vital contributer to dance injury prevention and Physical Therapy for dancers in the Central Florida area. This personal knowledge and experience of dance aids her dance patients in fully understanding joint mechanics by employing dance terminology. Dr. Lawlor is married to a dance educator of 30 years and Stott Certified Pilate's instructor. She has 3 sons who also dance. 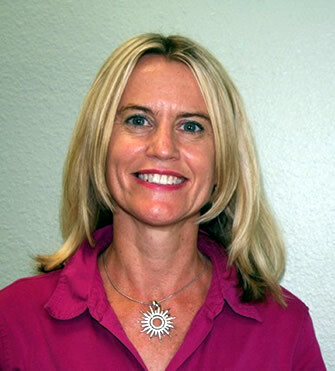 Laura graduated from the University of Miami with a Master's of Science in Physical Therapy degree in 1998. She has practiced in a wide variety of physical therapy settings. She has also owned and managed her own personal training practice with emphasis on women's health. Laura has a strong belief in the mind-body connection; that healing and health come from a holistic total body approach. Some of the therapy techniques that Laura utilizes for treatment include Myofascial release, yoga/Pilates-based stretching and strengthening exercise, balance retraining and comprehensive client education to ensure long term improvements. She is currently advancing her Pilates training under the instruction of Michael Lawlor. She is a strong advocate for lifelong learning and is a certified Holistic life coach and Reiki practitioner. 151 Second Street, S. W.